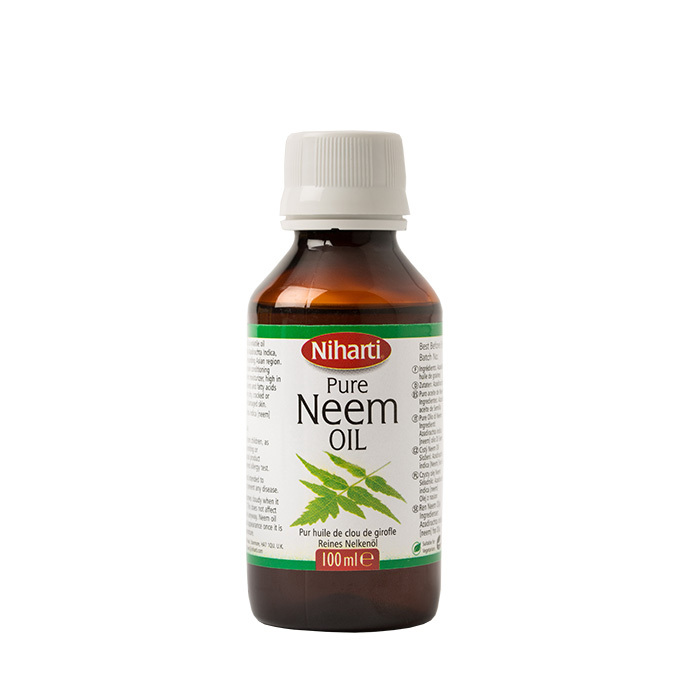 Niharti Neem Oil is a volatile oil obtained from the Neem plant native of India and surrounding Asianregion. Neem Oil has excellent skin conditioning properties, is an excellent moisturizer, high invitamin E, rich in emollients and fatty acids and is good for soothing dry, cracked or otherwisestressed and damaged skin. Storage: Store in a cool, dry place Storage: Neem Oil becomes cloudy when it is stored at below 7degree C. This does not affect the quality & shelf life in anyway. Neem Oil will return to its normalappearance once it is warmed to room temperature.